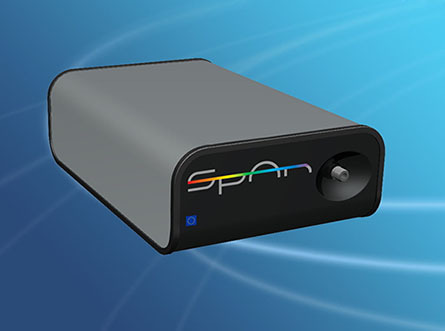 SpAn is a miniature spectroradiometer for precision measurements and express analysis of radiative processes, scattering, absorption by different objects and media. It can be used in field and at laboratory and production conditions. Energy supply and the control is via a standard USB port. The SMA 905 optical port is provided for assembling with periphery using optical fibers (for example quartz one with numerical aperture of 0.22). SpAn contains a collimator, dispersive element, projective lens, photodetector array, electronic module for control and data exchange.